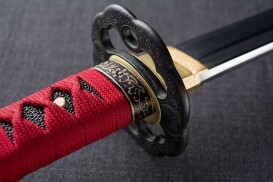 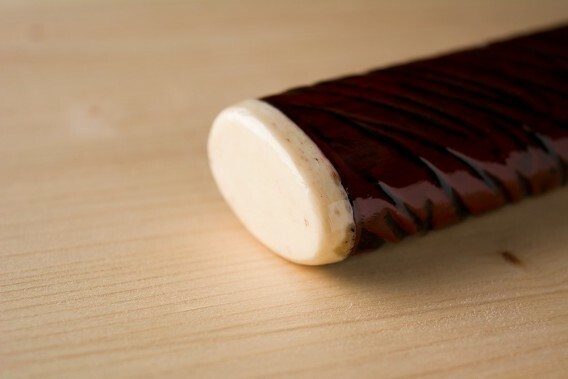 The Shonai Zuka-maki style was used in the mid-Edo period by high-ranking Samurai. 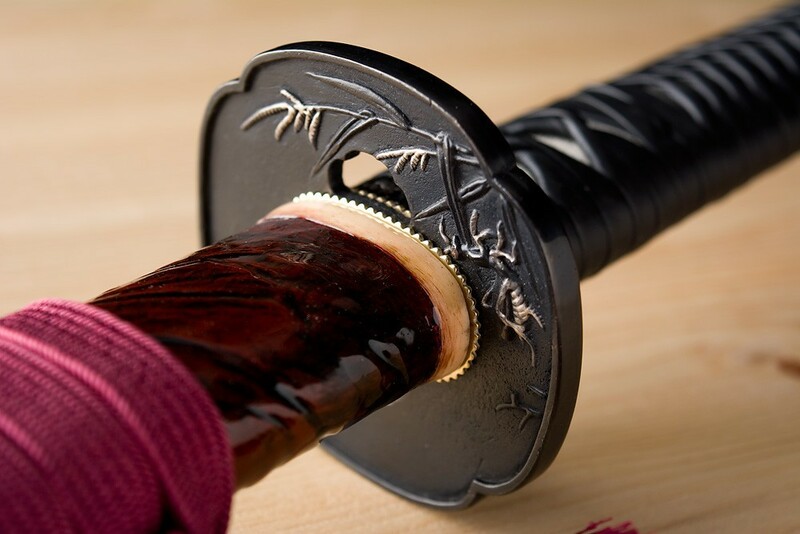 In Katanamart we are committed to daring- and less commercial designs, while at the same time traditional and rigorously historic, perfect for the collector or those who practise the most demanding and exclusive Budo. 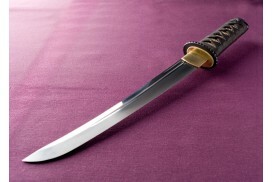 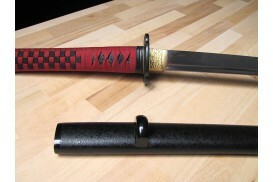 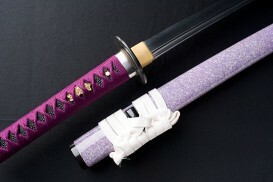 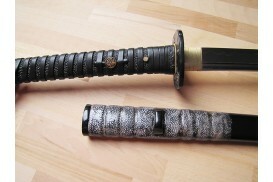 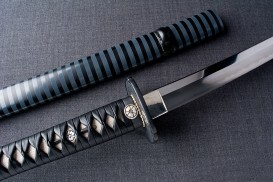 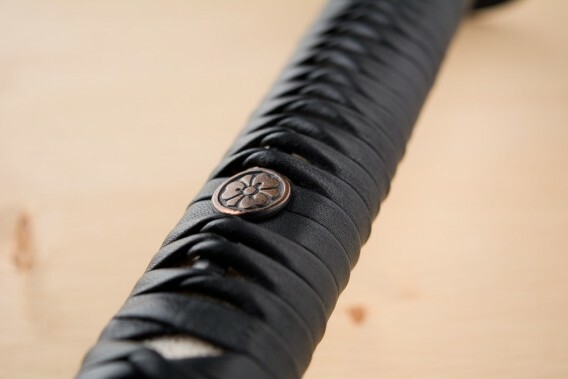 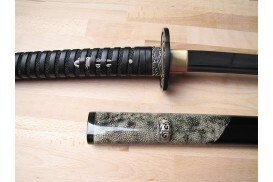 The Tsukamaki is done in the Shonai Zuka style with black leather Ito made by hand. 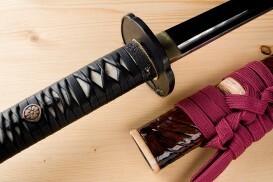 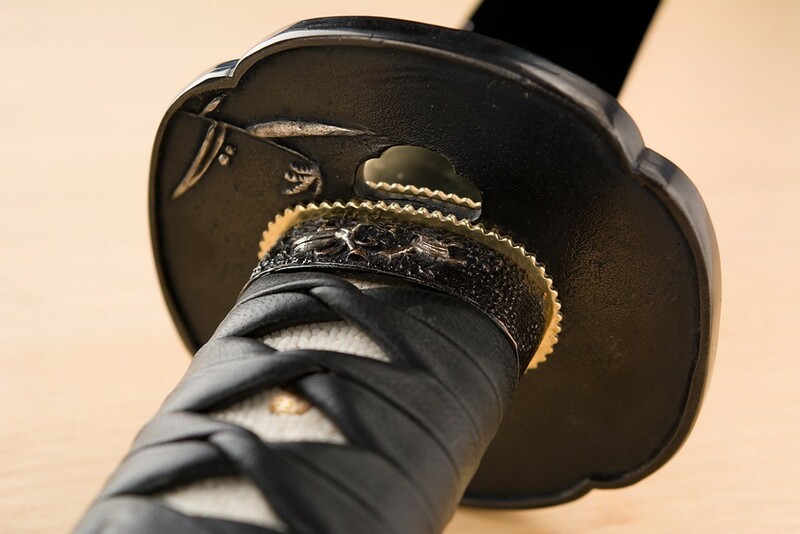 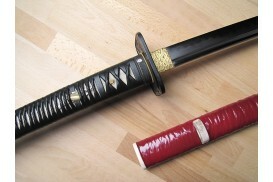 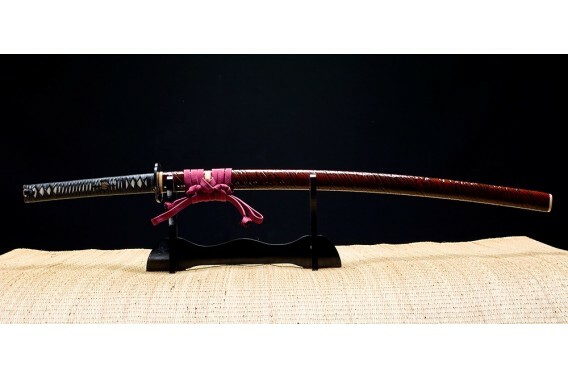 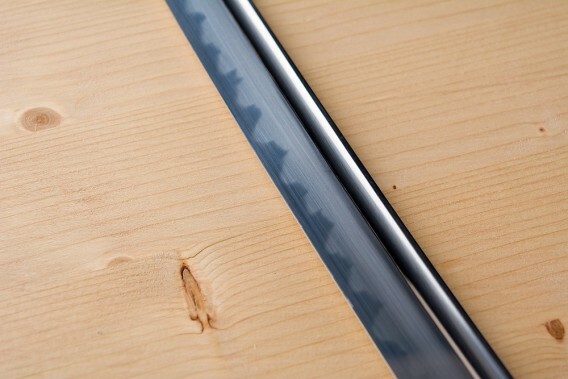 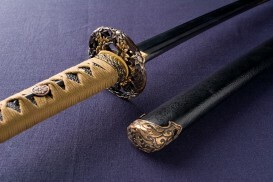 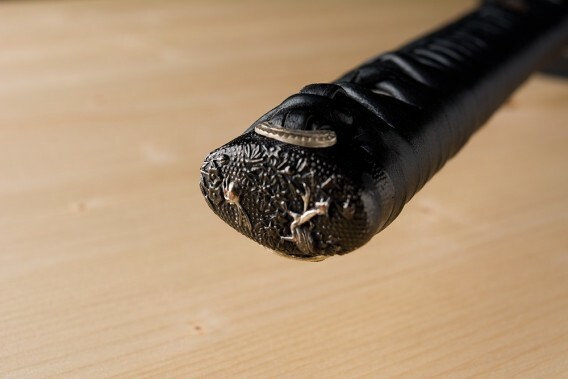 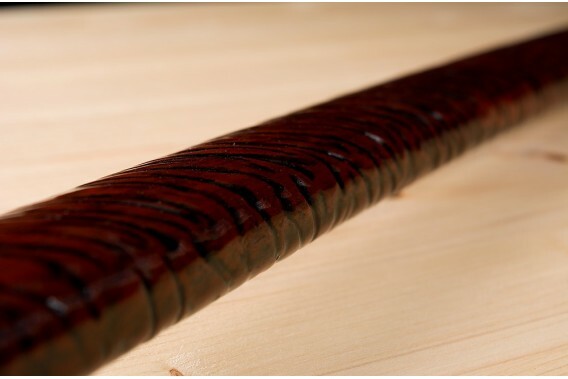 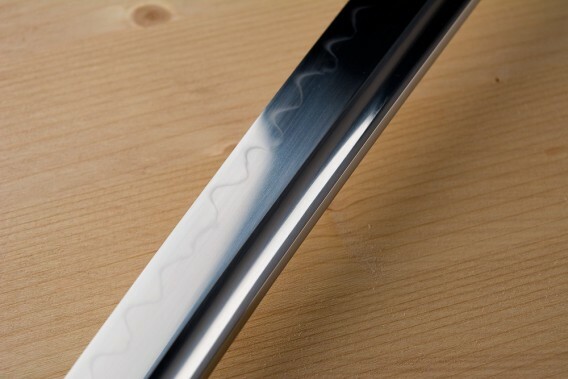 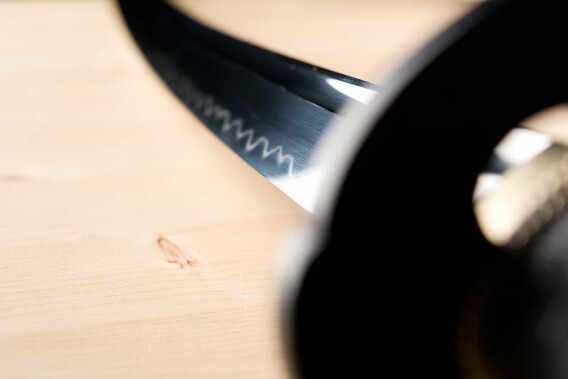 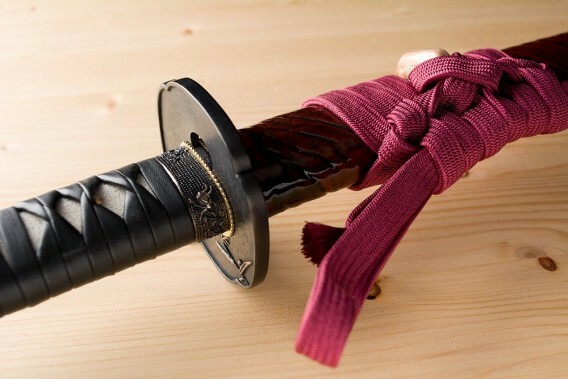 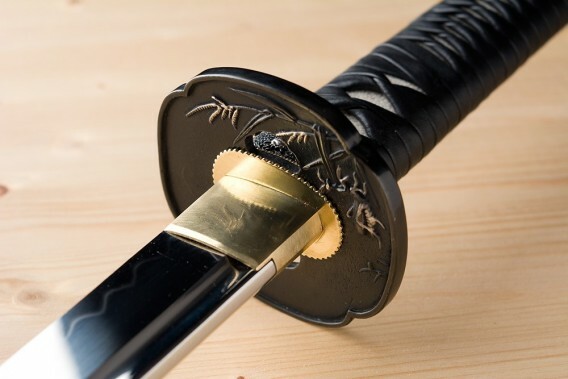 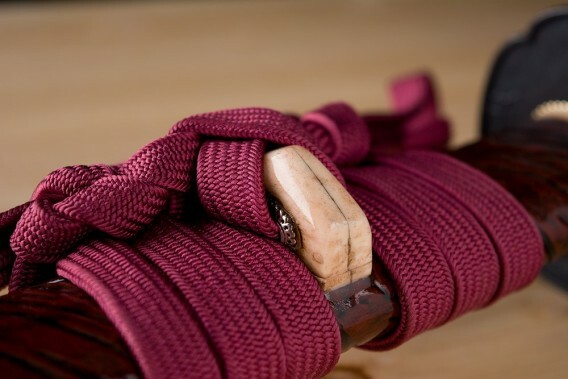 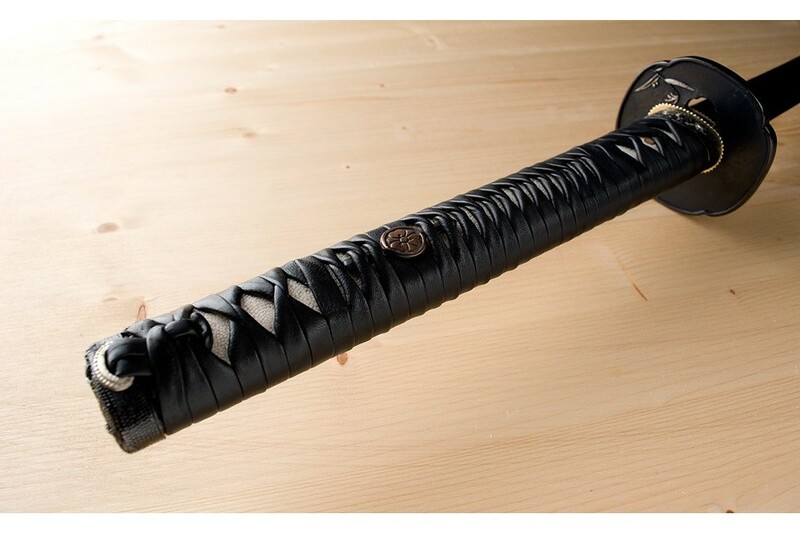 The Saya which accompanies this elegant Koshirae has been carved simulating the texture of tree bark. Saya carved simulating tree bark, lacquered in maroon. 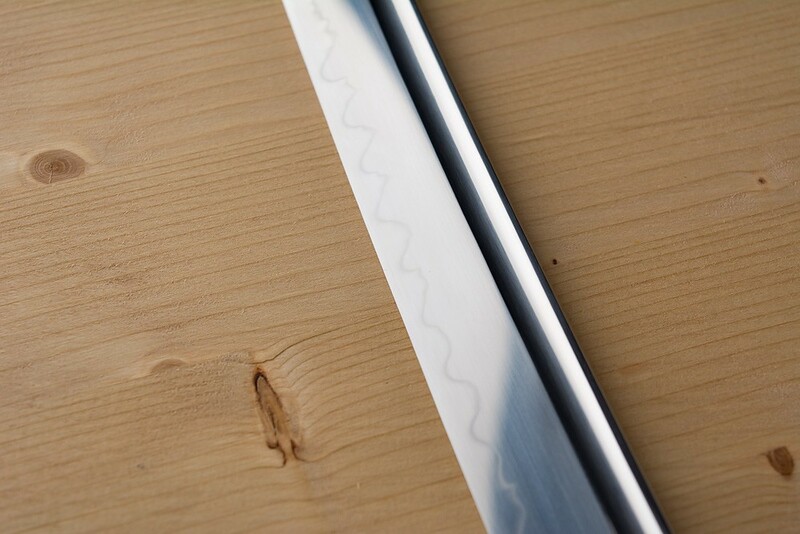 The Koiguchi, Kurikata and Kojiri are made of bone, the Habaki is carved and polished by hand together with the three previous pieces. Lacquered in maroon, all the horn parts (Koiguchi, Kurikata and Kojiri) were made of bone, carved, polished and age-treated by hand.